It's no secret that I am a quilter who doesn't really enjoy the quilting part of making quilts. I think that there are a few different reasons for this, but if I'm honest, I guess that for a large part its due to me being unrealistic. I look at other people's results online and expect the same of myself. I see their beautifully straight lines and amazing regular stitches and beat myself up for not being able to do the same thing. I do this, completely forgetting that I am using a pretty average middle of the road sewing machine and many of the people I compare myself are using thousand dollar machines. My machine has difficulty dealing with differing thicknesses of fabric and will quite happily stitch on the same spot for hours if it comes across a bulky seam. If I sew too fast, the stitches become smaller, if I sew slowly and constantly they remain regular(ish). If I stop and then start again it can be really really difficult to regulate the speed so that it doesn't start with a charge of tiny stitches. 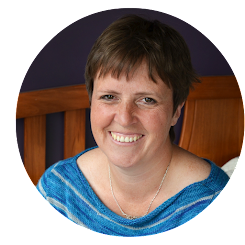 I also forget that many of the people who I am comparing myself to have been quilting for a lot longer than I have been and that it really is true what they say when it comes to quilting- practise makes perfect! I recently unpicked the quilting on a whole table runner that I had quilted. It looked terrible. I was using my trusty walking foot for straight(ish) line quilting and it should have been ok, but every second stitch was skipped. I was in despair. The fabric had been provided by somebody else and it was for a publication. I panicked BIG STYLE! The worst part was that I just couldn't work out what I had done wrong. I was using good quality thread which I had previously used, the machine was threaded properly, I was using a new needle, I had not changed anything in my machine settings and everything should have worked perfectly. If I'd thought I would have taken photos of the disaster to show you all, but I was so disappointed in myself that I just wanted the rubbish quilting out of sight as quickly as possible! While I was unpicking, I ran through everything in my mind. I was baffled as to the reason for the dodgy quilting. Then it occurred to me that the only thing that was different to normal was my needle. I was trying a 90 needle. Everything that I read said that this was preferable for quilting. I changed back to my trusty 80 needle and tried again. This time I quilted random wavy lines with my walking foot. It looked better and the stitches were as regular as I could hope for. No stitches were skipped, but the holes from the old stitches were very visible and looked plain ugly in the close up photos. Then I had a though. I did something that I rarely do. I remembered various people saying that washing a quilt will hide a multitude of quilting errors. I washed the quilt and gave it a quick tumble dry. My plan worked! The holes disappeared and the fabrics wrinkled up adding texture to the quilting. I must admit that I really love the result. It added a whole new dimension to the table runner and changed the project from a flat lifeless one to a living breathing fabric one. 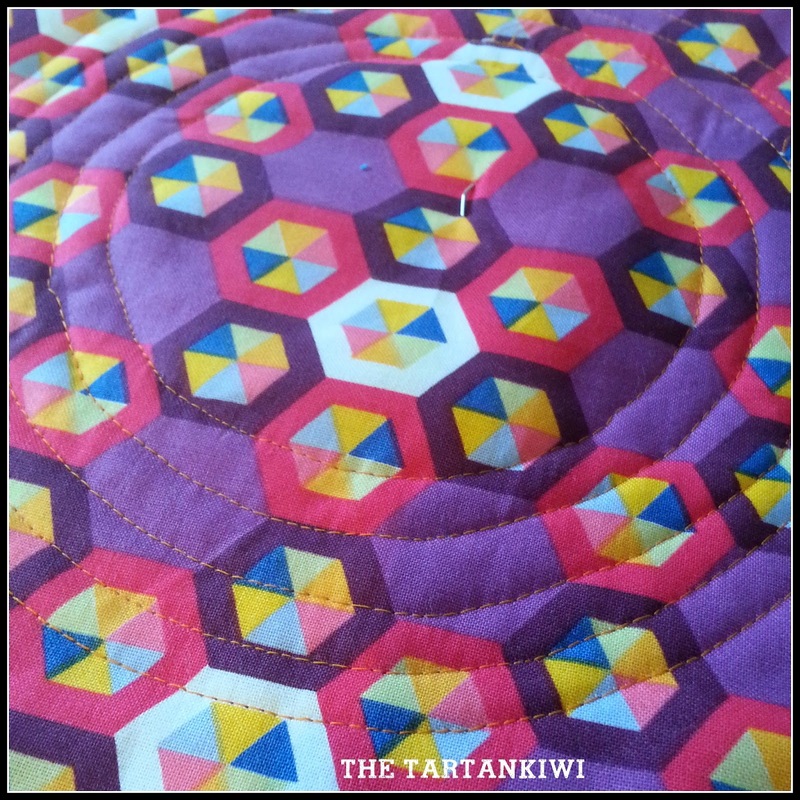 This weekend I quilted my mini quilt for the #igminiswap. 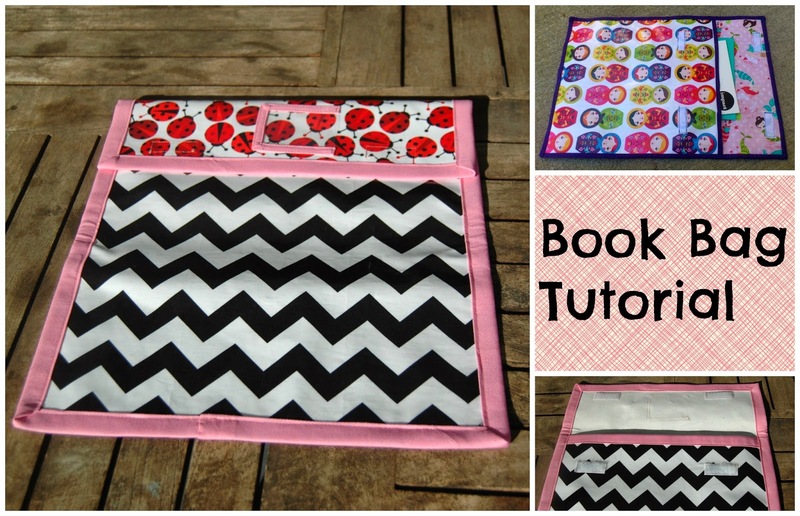 Almost a year ago, I had pinned this tutorial on quilting concentric circles. On Saturday I remembered about it and randomly decided to quilt that way without re-reading the tutorial. Remarkably, I managed to remember all the important steps. Do I care? Absolutely not! I LOVE the result and can definitely see myself doing this kind of quilting again (even though it was pretty boring and there were a lot of threads to bury at the end)! Phew! Yet another positive quilting experience. The next time that I am beating myself up about my quilting please just give me a gently box in the ear and tell me to pull myself together. Remind me to stop being so hard on myself and that there are definitely ways to get good results from a mediocre machine. My head and my heart know that quilting perfection is overrated and they are very forgiving of all my mistakes, my eyes just have a hard time catching up (although they generally love everything that I make a day or two after it is finished)! I'm hoping that these two good quilting experiences will give me more confidence with my quilting and I have plans to try to be more adventurous again. 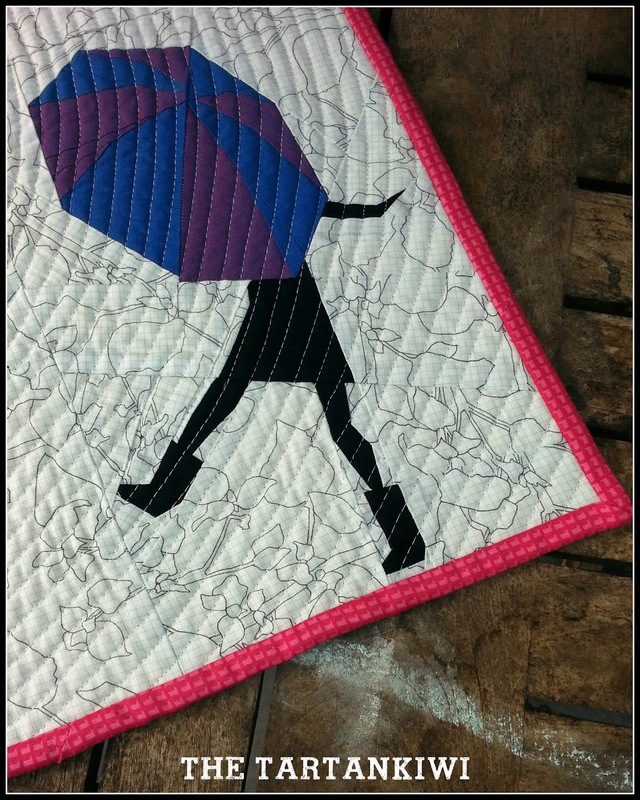 In the short term this means more quilting using my walking foot, but I would love to give FMQ yet another go. Over the next few months I will be making a few small projects as gifts. I reckon its time to try some fancy quilting on them- don't you!?! Is quilting a trauma for you too? Are you too hard on yourself? Please tell me I'm not the only one! Easy enough...you are NOT the only one. New to quilting myself, I've actually been afraid to try. The last quilt I did was for a baby, I used my walking foot with just straight lines (easier said than done), but I love the result, though it was completely boring and repetitive...I do not understand how anyone can quilt bed sized quilts. They must really love the results to make it through the process LOL Guess some could say the same for paper piecing all those fiddly little pieces...which I must add you do beautifully! Keep up the inspiration, and keep on keeping it real for us. Thanks! 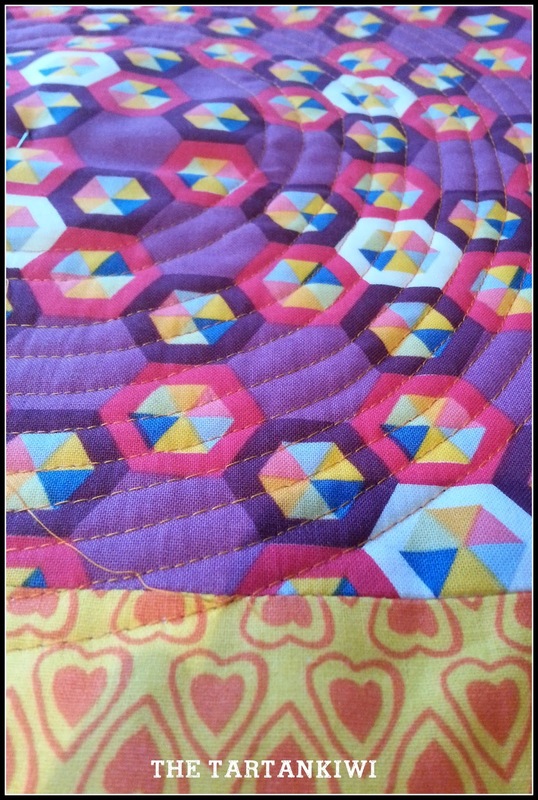 When I started quilting, I just jumped into doing the quilting portion, after piecing, fearless. Then, as I mastered more complicated piecing, I got more and more worried about ruining all my hard work. I became immobilized ...for many years...meaning quilt tops built up. Finally I discovered Leah Day and Angela Walters and followed their advice - practice and HAVE FUN. I started viewing each quilting experience as practice, telling myself it wouldn't be perfect (never could be and that's obviously not the point, right?) and that I was going to learn something. Since then, with my attitude adjustment, I've found I actually enjoy the quilting, especially FMQ, the most! Yep I completely relate to your tale of woe.. I find FMQ challenging even though I do have a good machine. You are so right when you say practice makes things better - it does. I just can't fit in enough into my weeks but by the end of each quilt I do notice an improvement - yay! How ever without constant quilting the gain is hard to sustain - sigh! However my reframe it is that it is a great opportunity for me to practice mindful self acceptance! Good wishes for your perseverance! I am just as critical on myself!! Infact it took me another five years to finish my eldest a quilt because I was so disappointed with my quilting! Don't worry I was always remind you your creations are beautiful because they never fail to be....you know I still loooove the scrap bag swap bag you made me! I take it everywhere with me! Sometimes I feel like I'm not good at any part of putting a quilt together, from the cutting to the piecing all the way through the quilting! But even if the final products aren't perfect, they're still beautiful, and that makes me feel better. I'm just starting to try free motion quilting, on a Kenmore with just a regular piecing foot, and I'm trying to be patient with myself! It's nice to know I'm not the only one who struggles. Your quilts are still lovely, too! Oh hello I am the girl who won't even attempt quilting myself - heck NO - !!! You are exceptionally talented - be kind to you !! hi Juliet, I love your quilting you have created, as some say, be kind to yourself. Not sure where you are getting the information you need size 90 needles?? There are several reasons for some of your problems. Many people are scared of machine quilting, but once you have a few key points, a well maintained, clean machine you can with practice do some satisfying quilting. Sounds like nothing a quilting lesson wouldn't solve. My mantra is that I don't do perfect, I do beautiful. You have seen my first FMQ attempt - its wasn't an A+ and it lives on the back of our sofa! Oh boy, you sound like me when I started quilting! I'm so glad you figured out the needle problem and kept at it! It really is the only way to improve and develop confidence. Not by any means am I the voice of an expert quilter, but I have reached a point where I accept my mistakes and just keep on doing it! Isn't it nice to know that a good run through the washing machine makes everything better!